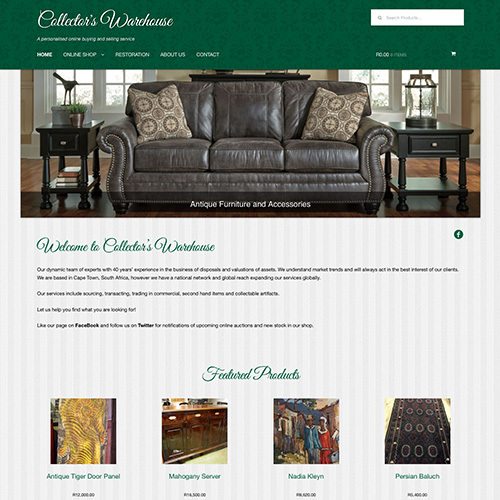 GenSix Digital was approached to help design & develop a clean and simple Ecommerce Website with full payment gateway facilities for Collectors Warehouse. The next phase is to introduce and develop a live auction facility for customers to bid on items they want to purchase. Collectors Warehouse has a team of experts with 40 years’ experience in the business of disposals and valuations of assets. They understand market trends and will always act in the best interest of our clients. They are based in Cape Town, South Africa, and have a national network and global reach expanding our services globally.